Johan Olofsson, from Sweden is probably the most famous living snowboard freeride pro, Johan’s part in Standard Film’s TB5 is still considered the ultimate Freeride cinematic moment, where in one five-minute section of film Johan changed snowboarding forever. He is still considered the father of modern freeriding, and his name is synonymous with credibility events. Still charging, still exploring the sport’s limits, Johan is a living legend. There are some words from the NISSAN sports adventure team spokesperson, very well put. 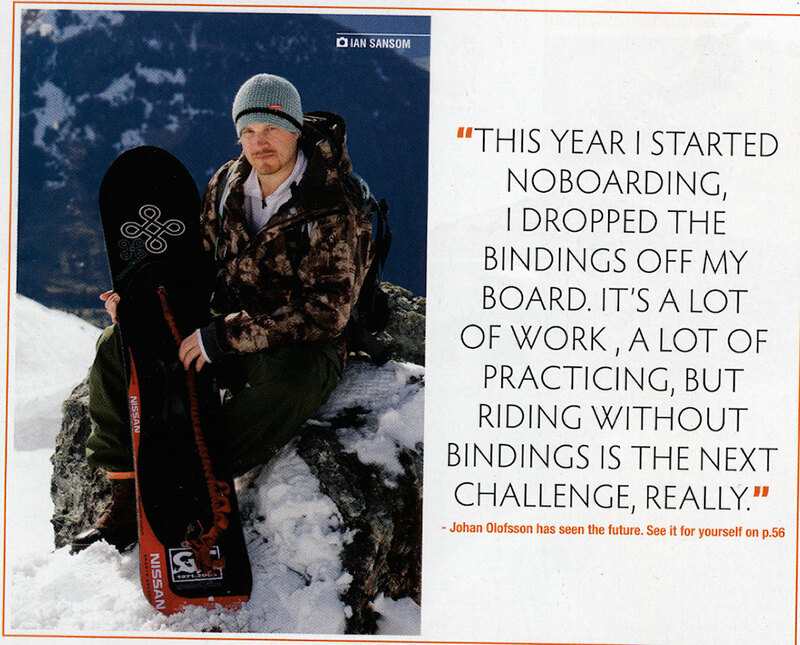 You’ll see a pic of Johan wearing an eka hat in this months Whitelines magazine.….STOKED! I made hats for the whole winter and summer team last year so I hope a few more legends will turn up in the mags in my creations this winter.